It is in a state of total awareness that we are open to one of the greatest, relatively unexplored and largely undeveloped gifts that we have at our disposal. 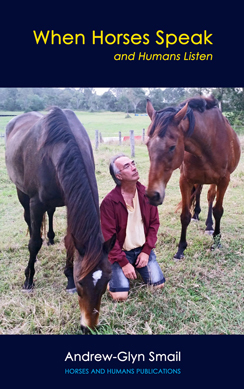 I am referring to our ability to sense energy, our own and that of others, to influence and be influenced by other sources of energy, especially those of living creatures such as the horse, and to do all of this consciously and intuitively. If at this stage you are beginning to wonder whether I am not edging too far towards the mystical realm of the fairies, stop and consider your own experience and perhaps what you may have even encountered in popular media reports on scientific research. Who, for instance, has not heard of communication between humans being largely non-verbal? We may listen to someone speaking but how we respond is predominantly determined by our sense of them and how they communicate, and not so much what they say. Alternatively, you may find yourself in a situation in which your mind suggests a logical response but your “gut” prompts you to do the opposite. What about the times when you have instinctively known that a close friend is about to arrive or call and they do? Or when you sense the presence of someone well before your physical senses confirm this? All of these are examples of heightened awareness which seem to be inexplicable coincidences. Yet they occur so often that it beggars belief to consider them as mere examples of chance occurrences. Indeed, they are so frequent that we have also invented a term to describe the faculty within us which is capable of experiencing such heightened awareness. We half-jokingly refer to it as our “sixth sense”. Yet what if it is not a joke or even half of one? What if we do have a sixth sense? What if it is one which we can explore, and even develop, nurture and use? The good news is that we do, we can and it is not a joke. What our sixth sense detects is energy in some form or another, yes the very thing which Einstein claims is found in everything that has mass. But do not believe me. Consider your own experiences of this sixth sense. Speak to others and listen to theirs. Still not convinced? 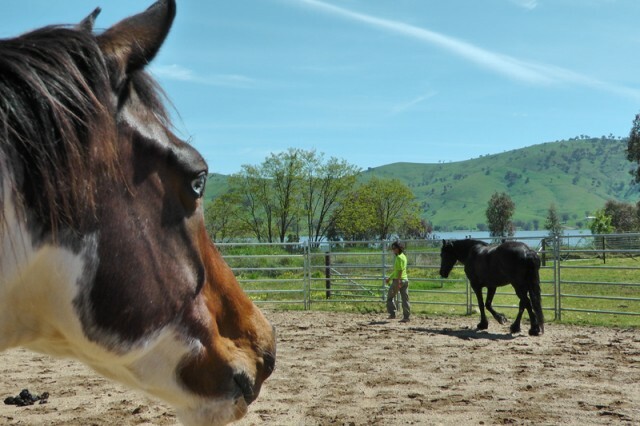 If you have access to a herd of horses, spend some time watching them communicate. We have learned that certain subtle movements mean certain things but do they really on their own? For instance, you are probably aware that when a horse moves its ears back, it may be giving a warning. Yet horses do the very same thing when they doze. Clearly the same sign has not only different but opposite meanings. So how do we know which one applies? The energy behind it, surely? But let me play devil’s advocate. It could be the context in which it occurs rather than the energy behind it, couldn’t it? After all, the dozing horse is calm, while the creature flashing a warning is strident. Yet is this not indicative of the energy behind the sign? After all, if the horse flashing a warning was not strident but instead exhibited the energy of dozing within the context of warning, would anyone really take that warning seriously? It is often claimed that in order to communicate with horses, we need to interact with them, as they do with each other in the wild. In particular, we need to show them that we are their leader and to learn their body language so that we can use it to communicate with them. 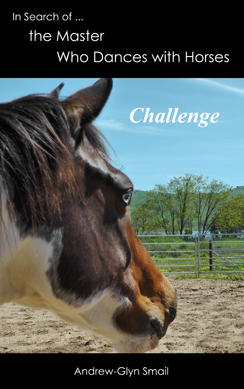 This approach is based on three assumptions, the first being that horses do this with each other in the wild, the second being that some horses act as leaders and the third that they communicate with each other using no more than body language, meaning that we need to learn to do the same, to communicate with them as horses do. The problem with this approach is that all three assumptions are false. 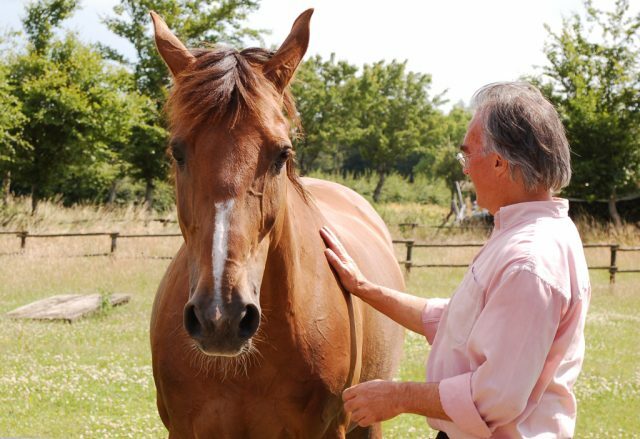 The horse’s primary concern is to feel safe, secure and comfortable, preferably with creatures whom they know, namely, other members of their species. The closest examples of leaders in popular horse culture are the “lead” mare, whom we are usually told is an older experienced member of the herd who responds first to any sign of danger and “leads” the other horses to safety, and the stallion who keeps the group together, rounding up stragglers and chasing off competitors. Of course, if we examine matters more closely, we realise that the “lead” mare, if there is one, does not guide anyone to safety but merely moves to a place they feel is secure and the other horses follow, and that some mares choose to abandon even the fiercest stallion in favour of a rival. Even the stallions choose to keep their harem bands with the herd and in this sense also follow. Put another way, horses are not leaders but followers in that they choose to follow rather than to lead, and the path they follow is that of safety, security and comfort, preferably with their own kind and, if possible, a friend (the intense bonding of pairs of horses is legendary, as is the closeness of a harem band). Are we humans much different in this respect? And if a human is capable of offering safety, security and comfort, what might a horse choose to do? The assumption that the horse communicates using no more than body language is one that I have already shown to be false. 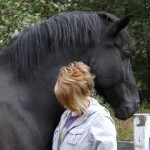 After all, the energy with which the horse uses their body to communicate is equally essential, if not more so. How do we know this? Because there are times when a horse need not even move its ears back to issue a warning. A look may be enough. We know this too from our observations of horses. Again though, it is the energy that is communicated through the eyes, which “speaks”, as it were. So does the horse – or any other species for that matter – really want us to act like another of their kind and try to communicate with them in the same way? Can we really fool the horse that we are also equines by trying to act as a member of their species? Or does the horse decline to ask anything of us, simply leaving it up to us to find a way to them as the kind of creature whom we exactly are … human … being … human? And if we find the way to being human, to fully being the authentic, congruent human that we are capable of becoming, could we learn to exploit our sixth sense in the way that horses do?